I could see the issue immediately. This guy’s mother-in-law has worked her way up in a corporate career, and work has been her life, her identity, her status. What is she going to do or be without it? I think the family fears that with nothing else to do she will start interfering in their lives. And this situation is not unusual. So, what is the issue here? And how can we fix it? These days – as Silver so brilliantly demonstrates – we can still be young in our 50s, 60s, 70s, even 80s… Which means someone like this chap’s mother-in-law can still have bags of energy, masses of expertise and want – actually need – to feel useful and relevant. This is what inspired us to start Next-Up. We found a growing number of people coming to us as they thought about what to do ‘next’, maybe after their corporate career, maybe as a change in direction. And it was clear from the get-go that this was something that offered huge opportunities – for us, and for them. 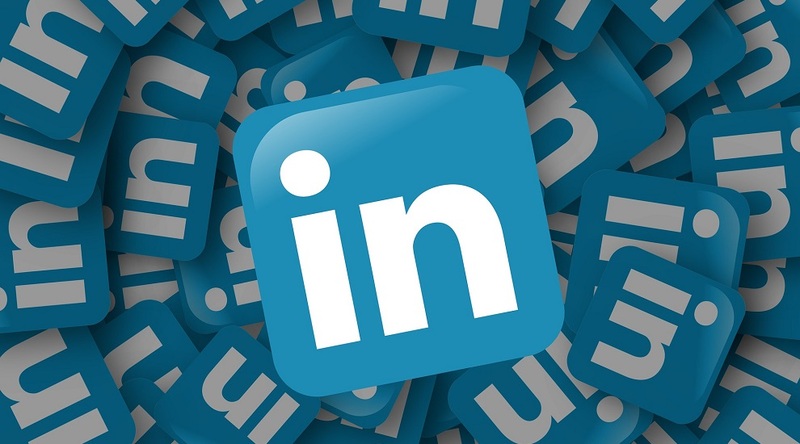 Originally, people wanted help with LinkedIn – having hated it for years and dismissed it, they suddenly realised this is how people find candidates for non-executive director or consultancy roles – and LinkedIn listings are the first thing that comes up when you do a Google search on people’s names. So pretty much whatever they wanted to do, they needed a profile, and they needed our help with it. That led to my asking them what they wanted the profile to achieve (thinking about keyword searches) and then we ended up helping them to come up with ideas and plans. So many people would email after a session and say ‘thanks for the therapy!’ And for many of them, it turned out that this was the first time they had opened up about their fears and dreams, and been able to discuss ideas and turn them into a plan. We carried out research with 1,500 people aged 55+ to check if what we were seeing was a widespread issue. Our research covered a representation of the UK population, people from all walks of life – and we drilled down with a thousand of these people who had ‘retired’ or were planning to retire shortly. The findings were interesting. Two thirds of retirees said they want to ‘feel useful and relevant’ and retired over-55s are motivated by purpose, not status or money. Forty two per cent of retirees over 55 agree with Dame Judi Dench, 83, who famously said “Retire? What’s that word?” sharing her view that retirement is an outdated concept. 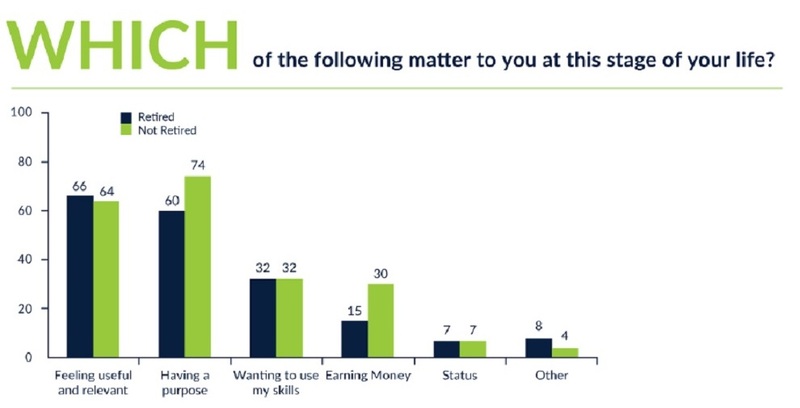 Like Dame Judi, almost a third (32%) want to continue to use their skills in retirement and 35% have apprehension or concerns around losing their identity. But. The big issue is about what you do, and how you go about it. 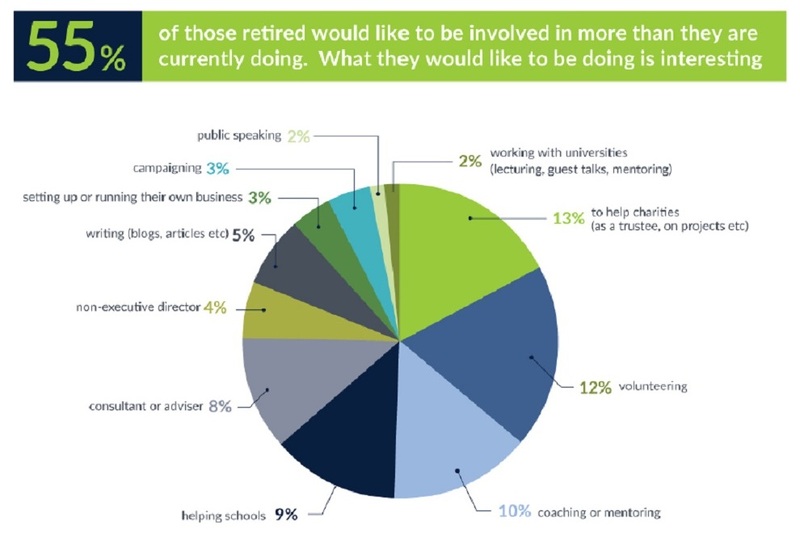 Though almost a third of those retired keep themselves busy with activities that use their skills, 45% would like to be doing more. Helping charities as a trustee or with projects tops the list (13%) followed by volunteering (12%) and coaching or mentoring (10%). Of these people though, a quarter have not been able to use their skills, either because they don’t know how, or have offered their skills and not had them taken up. This last aspect resonates with the people we have worked with. Lots of people write to organisations cold to offer their skills – and often don’t even get a reply. One person said she wrote to her local council and asked if she could do anything to help local schools – she had run leadership programmes for one of the UK’s top business schools, so you would have thought they might snap her hand off with an offer of free help. Perhaps she could coach a tired head teacher or run a leadership day for a group of schools in their area. But her offer went ignored. Another man told me that he had written to one of the UK’s leading aid charities and offered free media training – he had worked in TV for 20 years and also volunteered as an adult, in West Africa. Again, no reply. What this tells me – apart from how short-sighted people can be – is that networks are one of your most valuable tools in ‘unretirement’. Whatever you want to do, your success rate is going to be far higher if you go through people you know – to help you understand processes, make the case for using you and introduce you to the right people. There are a few other themes that we have seen. One is that the process of retiring can really knock people’s confidence – they can end up in quite a bad place mentally. Essentially, they are going through a bereavement process – they have lost a huge part of their life and their identity. It will get better but not if you let things drift – you need to create a proper retirement plan and ensure it is on your terms. If you want to spend two days a week with family, playing golf or gardening – put that in your plan. If you want to earn money, that is possible – have a plan for it. If you want to use your skills, lots of people are looking for you, you just need to know where to go and how to do it. My final observation is that you need a new identity for your new life – or put it another way, you need to update your ‘personal brand’. If you have been head of HR for the last ten years, you have to rethink how these skills are relevant to your future – you aren’t looking for another HR role so you need repackaging. Going back to the poor mother-in-law, I hope her family do talk to her about retirement – time and again people say they can’t talk to family about their worries. This stage of life should be one of the most exciting times we have ever had – full of opportunities and making things work the way we want them to. But only if we plan and make those plans happen.